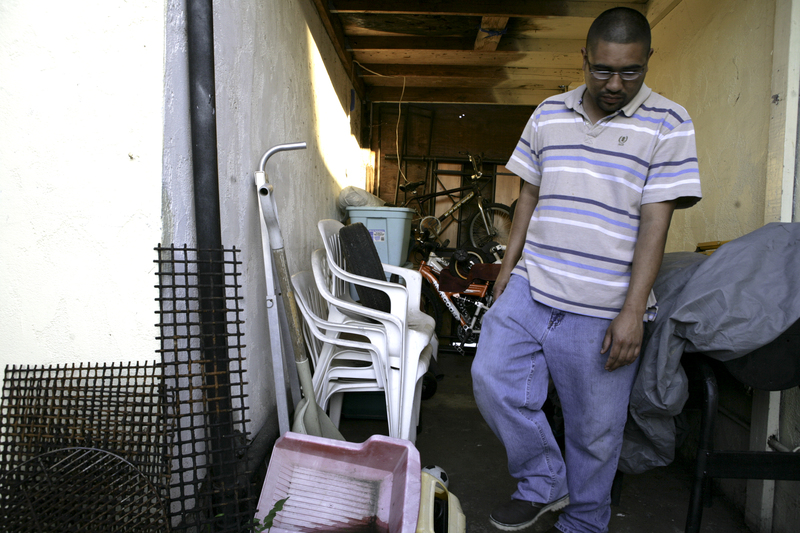 When Alejandro Gonzalez woke to the sound of water in late December 2010, he rushed to the window to find a pipe had burst and water was gushing around his Mount Hope home. He couldn’t believe it. The same section of main had ruptured three weeks earlier, flooding his neighbor’s home. Gonzalez and his wife packed up to leave. The next day, the cast iron pipe broke a third time. “We had to spend Christmas in the hotel with my kid,” he said. “So, it was really bad, that time of year for us.” The Gonzales family spent two weeks in that hotel — paid for by the city of San Diego. As significant delivery lines are nearing the end of their service life across San Diego, mains are breaking at a pace of more than 100 a year, according to an analysis of city data by inewsource, a journalism non-profit based at San Diego State University. Those breaks plus tens of thousands of leaks have sent an estimated 360 million gallons of water rushing or seeping into streets, homes and businesses since 2004. And it’s not just water that’s been lost. San Diego has paid out at least $10 million to settle claims and pay contractors for repairs to private property that was damaged by water main breaks during the past eight years. More than $350,000 of that was to house people forced from their homes by the breaks. Roger Bailey, the city’s public utilities director, defends the water department’s record, given the vast delivery grid. inewsource’s data analysis showed about a dozen clusters of five or more main breaks on single streets in the past eight years. Jim Fisher, assistant director of Public Utilities, said situations like those are rare, but when they do happen, the city can expedite work to replace the failing mains. The biggest and costliest water main break over the past eight years was on Polk Street in North Park on March 1, 2010. An estimated 24 million gallons flooded from a cast iron pipe into the street and surrounding homes. In all, the city paid about $1.4 million to make repairs, house people and settle property claims related to the main break. The $10 million total paid out in claims by the city since 2004 doesn’t include the cost of city crews who shut off valves and patch or replace broken mains. The city said it doesn’t track that expense. The auditor reported that the city has inspected about 5 1/2 of its 505 miles of large transmission pipelines since 2005, and none of its 2,958-mile network of smaller distribution pipelines. As a result, the city doesn’t know exactly where the biggest problems are. “By not fully assessing the conditions of its assets, the department will not have information on water pipes that are at high risk for failure and cannot make informed decisions regarding capital needs for these assets,” city auditors wrote. While the report acknowledged that physically assessing thousands of miles of underground pipes is unrealistic, auditors called for a periodic assessment, aided by software, to serve as a roadmap for which sections to replace first. The city is under mandate from the state Department of Public Health to replace at least 10 miles of cast-iron water main per year, and that department says it is meeting its requirements. The city has replaced about 51 miles of the most rupture-prone cast iron pipes with PVC pipe since 2007, with 129 miles to go by 2017. The city says its replacement schedule is fine and points out that the city’s water loss is a tiny percentage of the billions of gallons it successfully delivers to customers every year. “We have an aggressive and successful approach to maintaining the city’s water infrastructure,” said Alex Roth, spokesman for the mayor. He noted San Diego’s water-loss rate was 9.3% for the last fiscal year, lower than the national average of 14 percent for “unaccounted for” water, which is water that leaves the distribution system but doesn’t make it to customers. According to a city report, the rate for Phoenix was 5 percent; Philadelphia 31 percent; San Francisco was 9 percent. Local environmental attorney Marco Gonzalez said just because other cities are losing a lot of water doesn’t make it OK.
Public Utilities Director Bailey called water loss a very complicated and expensive problem with no single solution. Fisher said the city considers myriad factors when figuring out which mains to replace and when, such as pressure flows, the age of the pipe, the material of the pipe, complaints and break history. He added that the city has to figure out how to maintain water service for residents while replacing old pipes, unlike resurfacing a street. City officials have calculated the cost of deferred maintenance and capital needs for streets to be about $840 million, but they have made no similar calculations for water infrastructure. The auditor’s report said the department needs to “estimate deferred maintenance and unfunded needs” so that ratepayers are clear on consequences of deferring projects. Members of the Independent Rate Oversight Committee, a citizens oversight committee called IROC, want the city to figure out a way to measure how good or bad the system really is, so council members and the public can make informed decisions on infrastructure improvements. IROC also has called for an audit of the water department’s 84,000 valves, which are used to shut down water in case of a break or leak. Peugh said that during a main break in his neighborhood near the Famosa Slough, a 37-acre wetland located between Ocean Beach and the San Diego Sports Arena area, he was troubled when it took six hours for city crews to locate working valves and shutdown water flow. “It shouldn’t take that long,” Peugh said. “There were literally two pickup trucks driving around trying to find one valve that would turn off the break. In addition to studying problems, the city has launched a pilot project with IBM to help detect leaks and better manage pressure in water pipes using new technology. With software and additional high-tech meters, IBM is analyzing signals from meters from 2,200 homes and businesses in a pilot project in Paradise Mesa, east of downtown. Engineers apply algorithms to detect leaks. IBM stands to gain if the pilot is successful. The company could end up selling the system to the city, which is paying nothing for the pilot. The cast iron pipe that burst and flooded the Gonzalezes’ home was put in the ground in 1954. City estimates show the three main breaks gushed than 220,000 gallons of water. Gonzalez said he and his family lost clothes, tools and toys, among other things, in the first two main breaks. He received some compensation from the city, but not enough to replace all he lost, he said. Contractors are currently working on replacing some of the water mains in his neighborhood. A stack of large PVC pipes sat across the street from his house.